Worried about multiple software platforms and huge cost integration? One stop solution for all your Industrial IoT needs. DATOMS® Provides a unified platform for integration of multiple devices, various protocols and softwares, in turn reducing the dependencies of various departments and simplifying communication complexities of process, manufacturing and discrete industries. 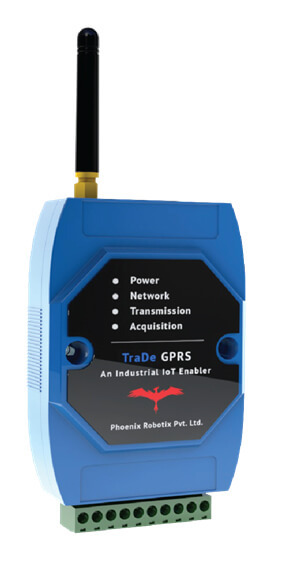 TraDe is a series of hardware devices capable of transmitting the sensor data through wireless communication to a remote server for the purpose of storage and further analysis. These devices enables real-time communication between various standard industrial protocols such as Analog, Digital, 4-20 mA, RS 485, RS 232, Modbus RTU / TCP through Wi-Fi, LoRa, Cellular Network and Ethernet. "The IoT Enabler" TraDe is a series of hardware devices capable of transmitting the sensor data through wireless communication to a remote server for the purpose of storage and further analysis. These devices enables real-time communication between various standard industrial protocols such as Analog, Digital, 4-20 mA, RS 485, RS 232, Modbus RTU / TCP through Wi-Fi, LoRa, Cellular Network and Ethernet. Bring DATOMS® to your industry ! DATOMS® empowers organizations to deploy and configure a wide array of IoT-enabled devices for capturing and analyzing the real-time data from hundreds of processes. A customizable dashboard with various built-in apps simplifies data-driven decisions and critical control of machines, processes and business operations. 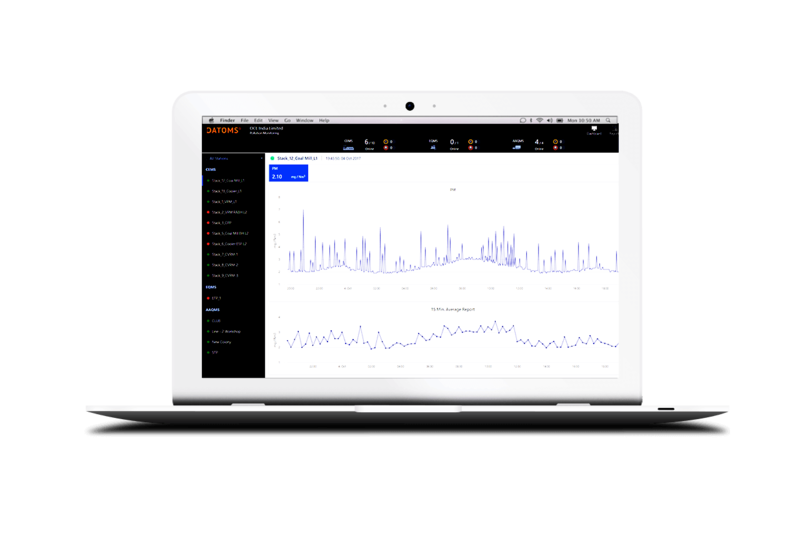 Get real-time analytics of your data to draw informed and wise conclusion. Round the clock monitoring with efficient alerts to reduce system downtime and asset loss. Configure and control your devices remotely from anywhere without accessing the device physically. Highly secure and unique system to manage access for users of different hierarchy. Get reports customized as per your specific needs anytime at your fingertip. Looking for a Collaborative Solution? If you are looking for our collaborative solution then consider DATOMS®. System integrators can leverage DATOMS® platform to offer a customized IoT solution for their clients. We deploy & maintain a real-time network for your devices so that you can focus on growing your client base. Manage the settings and configurations of thousands of devices remotely without the need for field visit. Get insights of your device functionalities and health status effortlessly with automatic detection of malfunction, effectively reducing system downtime. Manage users with various hierarchy for your customers and giving them access to various solutions through our platform. Deploy an army of IoT-enabled devices and gradually scale up to create a rich network of data points. Relentlessly capturing data round the clock, these devices offer simple plug-and-play solution with secure connectivity. The devices work just the way you want them to. Configure sensor parameters, data formats, transmission frequency, etc. remotely without accessing the physical devices. Get visualization of valuable intelligence and actionable insights of critical information with swift decision making and control. A highly flexible setup that guarantees prudent decision making. Frame better decisions with actionable insights and alerts. Control, maintain and optimize your resources in a simplified approach using data from various sensors. Interact with the systems, enable or disable process components and gain efficient and critical control of your products, services or business processes. Level up your efficiency through swift decision making and judicious control strategies.